Abul Khair Tobacco Ltd job circular 2017. The circular has published on 14 March on Prothom Alo Newspaper. 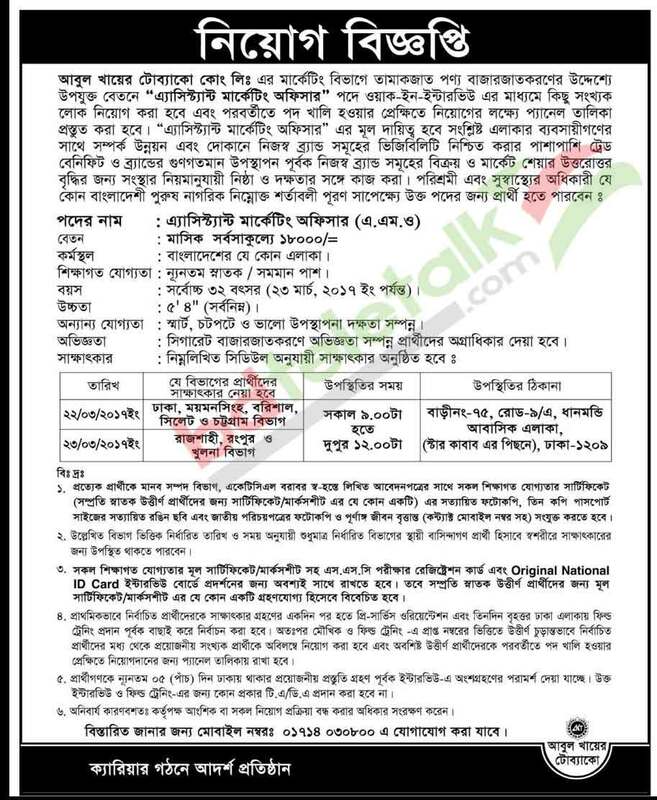 Abul Khair Tobacco Ltd will recruit for the post of “Assistant Marketing Officer” as walk in interview. The marketing Tobacco products. They will make panel for future recruitment under this circular. The personnel responsibility will be relation build up with business man, own products visibility assurance, trade benifit and brand quality presentation and some others. You may find on the advertisement in details.